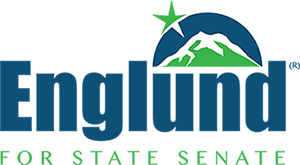 We received the following update from the Englund campaign in the 45th District for state senate on Nov 10, 2017. I expect we will hear her name again in our state. From the beginning, we knew we were the underdogs. And yet, you all still said YES to the call to serve a purpose higher than self. That purpose was a balance of power in our state and honoring the legacy of the late Senator Andy Hill. Our movement was one born out of conviction — that we could not allow Andy’s spirit of bipartisan cooperation to die with him. I want each of you to remember that when faced with a challenge worth fighting for, you understood that the reward of saying YES was greater than the regret of saying NO. 6 ½ months ago, we hit the ground running and put up a fight. Today, that journey comes to an end. Earlier today, I called my opponent to congratulate her and share my hope that she will be a voice that represents all of us in the 45th Legislative District. In life, it is impossible to win them all. But if you’re going to fail, in the words of President Roosevelt, you might as well “fail while daring greatly” and that is what we did. I am thankful for and proud of each and every one of you for having the courage to say YES with me. Great friendships are formed in the crucible of campaigns, and ours is no exception. To me, we are and always will be the Fighting 45th. And I would not trade the experiences we’ve shared these last several months for anything. So thank you again. Thank you for believing in me, believing in us, and doing it for Andy.